I grew up with the Vietnam War and Watergate. Is it any wonder I took solace in the adventures of Captain America? Stan Lee died last week. I wanted to take a moment to express my gratitude. What a debt I owe! When he was a teenager, Lee joined the company that would become Marvel Comics, serving as an assistant. In the early 1960s, he's largely credited as the creative genius who revived the company's dormant superhero line and brought it to life with Spider-Man, Thor, The Hulk, The Fantastic Four, The Avengers, The X-Men, etc. The middle-of-the-road company became the undisputed powerhouse, rivaling, then surpassing DC Comics (home of Superman, Batman and Wonder Woman). Could Lee have done more to properly credit the artists who co-created these modern mythical characters? Absolutely. A stingy nature when it came to sharing credit is part of his legacy, too. I'm too young to have been a fan of Lee's writing. By the time I started collecting, Roy Thomas and Gerry Conway were the big-time writers at Marvel, and Stan was the editor/publisher/boss. But still, it was his circus, and they were his monkeys. If they brought joy to me, as a kid growing up in poverty in Idaho, I had Lee to thank for it. I keep my two careers fairly separate: I'm a newspaper journalist by day and a novelist by night (secret identity much?). I've published seven mystery and thriller novels, with an eighth out this March. And a lot of what I learned about plotting and "choreographing" action sequences, I learned from Lee's Marvel comics. I've had novel editors, literary agents and critics tell me I write good action sequences. I should; I learned how to describe them because of the comics I devoured. My father, Don Haynes, is an ardent fan of novels, calling it the great art form of the 20th century (along with musical theater). He was aghast when I became a fan of a disrespected medium like comics. He considered them beneath the attention of any half-intelligent reader. So there was always a covert pleasure in reading them. But I grew up with the Vietnam War and Watergate. Is it any wonder I took solace in the adventures of Captain America? 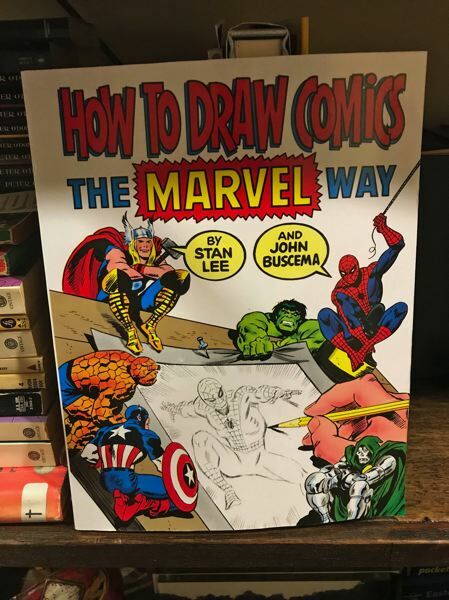 Stan Lee is, I believe, one of the most influential writers of the 20th century. And he has a pretty good shot to hold that title for this century, as well. He taught generations of writers, actors, artists, directors and others how to tell a great story; how to wring the most out of a character; how to make audiences gasp.